Just like in the cartoon, this fox and hound are "best of friends." 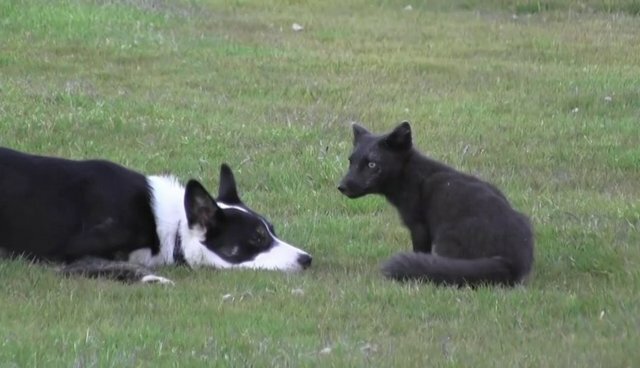 Watch an Arctic Fox wake up a dog who's just trying to get some beauty sleep in a beautiful Icelandic meadow for a little playtime. Wait 'til you see what these two pals get up to next!